Suzan Satterfield and Laura Lundy, founders of Safety Shot. In the last year, Hollywood has been rocked by scandal. Some of the most powerful figures in the industry were accused of sexual misconduct. There’s an initiative in Georgia called Safety Shot that’s trying to address sexual abuse within the state’s film industry. 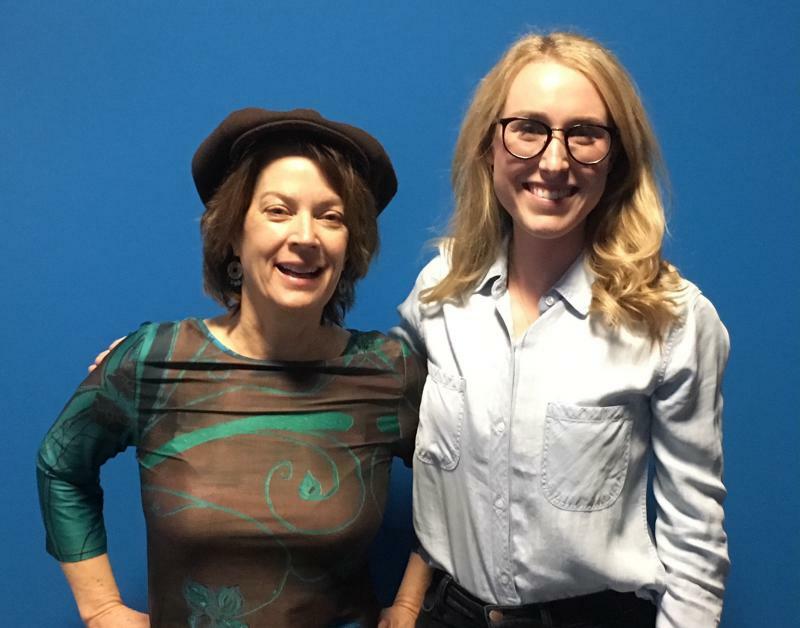 We talked with two of Safety Shot’s founders: filmmaker Suzan Satterfield and actress Laura Lundy. What Georgia's film industry can do to address sexual harassment, with Laura Lundy and Suzan Satterfield. Laura Lundy: You know, we’ve been having this conversation about ‘how do you give a person the courage to come forward [about sexual harassment]?’ I think that you do that by having someone in a place where they feel they are in such a level of power or equal level of power be that a woman or a man who has a reputation of not allowing this to happen. So there’s almost like this “buddy system”. They feel comfortable enough to come forward because they have someone in the level of power to be on their side. Celeste Headlee: How do you make it easier for a woman or in some cases a man to report it? Suzan Satterfield: Well, we’re having a “come to Jesus” right now honestly. All the guilds and all the unions are looking at what they have in place and finding that in some cases, it’s not enough. We really need to have more clarity; we need to have more boundaries. I’m a member of the Producer’s Guilds and they’re working on a draft right now, an anti-sexual harassment draft, that has all the components of training, your paperwork, reporting, how you make sure people feel safe, having a designated person or two on set that everybody knows they can come to. If for some reason you can’t go to that person, there’s a backup person. They’re talking about also “anonymous reporting”, where you can call a hotline or you can even use an app to report a situation. Headlee: Do you know of other states that are also moving forward? Is Hollywood itself moving forward with this in terms of finding the best practices or coming out with a draft on the Producers Guild of America? Lundy: Yes, the Producers Guild of America and I know SAG-AFTRA is as well. It’s caused everyone to look at their system and re-evaluate and find the discrepancies in their system an I know in these two systems we’re definitely seeing a change. Headlee: In these contracts, is there a clear description of what sexual harassment is? Lundy: So...it outlines a protocol that if you feel like you are having sexual advances made towards you and if you don’t adhere to those advances, and you feel that there’s going to be some sort of retaliation or you feel like it’s an unsafe work environment that doesn’t make you feel comfortable coming to work or you’re unable to perform your job, then you need to come forward and report that circumstance. On this special edition of Political Rewind, we look back at the year in politics. From new leadership in Atlanta to the fight for a new governor of Georgia and an expensive fight for a congressional seat. There was also President Trump, tax reform, health care reform, the Mueller Russia investigation, the resignation of one Georgian from the president’s cabinet and the firing of another, plus the #MeToo movement that sent tremors through Washington. All were big stories in 2017, but which ranked as the biggest according to our panel?